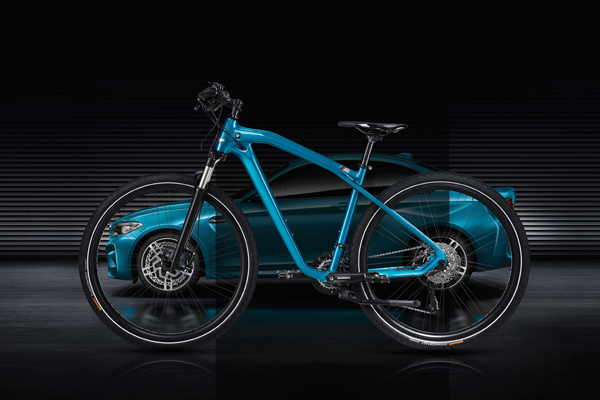 German car manufacturer BMW is taking its legendary design deeper into the world of two-wheeled transportation with the BMW Cruise M Bike Limited Edition. A perfect complement to the shiny new BMW M2 Coupé, this striking hybrid bicycle is sure to appeal to BMW owners and exacting cyclists alike. The bike’s metallic blue colour is identical to the M2 Coupé, with several curves and accents inspired directly by the sleek sports car. BMW has always been known for performance and quality. This bike is no exception. Kitted out with a 30-gear system, carbon seat, stop-on-a-dime Shimano disk brakes and 28-inch wheels, it is the perfect blend of beauty and functionality. Available in limited edition, with only 1500 units made, this signature bike comes with a custom plaque. There are five models available, from the traditional road bike to an electric bike with a 400 Wh battery. Prices range from $650 to $2,000.